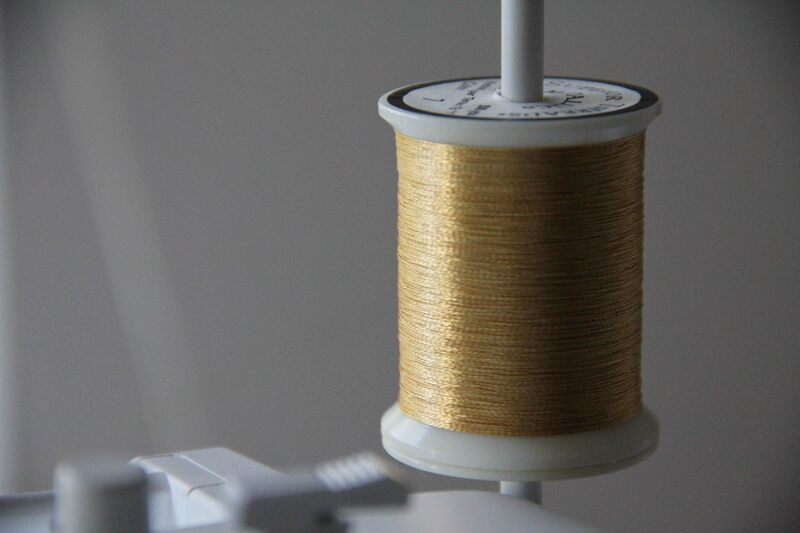 I’m teaching a class at Sew Generously in November about using metallic thread for machine embroidery. The look can be absolutely stunning, perfect during the holidays or special ocassions. But some basic tips can go a long way. Troubleshooting is another issue, and is exactly the reason I offer a hands-on class. Until you try and fail, you will not know what works and doesn’t on your machine. 1. Use good quality thread. This should go without saying, but you know, I always run into people who will pay thousands for a machine and then purchase thread that is garbage. Thread manufacturing is a science and it can be made to excellent standards or made on the cheap and, let’s face it, when it comes to thread, you get what you pay for. I always recommend Superior Threads. I have used their products numerous times with success IF you follow some of the following tips. 2. Use a topstitch needle. They have a larger eye and that gives the thread some room, so it cuts down on breakage. 3. Don’t be afraid to change your upper tension. Most of the time, you have to reduce the top tension all the way to 1. 4. Use the correct thread in the bobbin. I have had some success using OESD bobbin thread, but nothing works better than Superior’s Bottom Line in the bobbin. It’s a lightweight poly, and is a perfect match for their metallic thread. Use Bottom Line in the bobbin when sewing with monofilament too. 5. Know when to use your upright thread spool holder. It may be easy to think this one can be overlooked, but you would be surprised what a difference it makes. If your thread is straight wound, as this one is, make sure it’s on the upright holder. If it’s cross-wound, as many other metallics are, you should be OK on the horizontal spool holder. To learn a little more about horizontal vs. vertical spool holders, click here. Metallic thread looks so gorgeous during the holidays–on linens, home decor accents, even on apparel…especially on apparel. Work through your fear and try it! 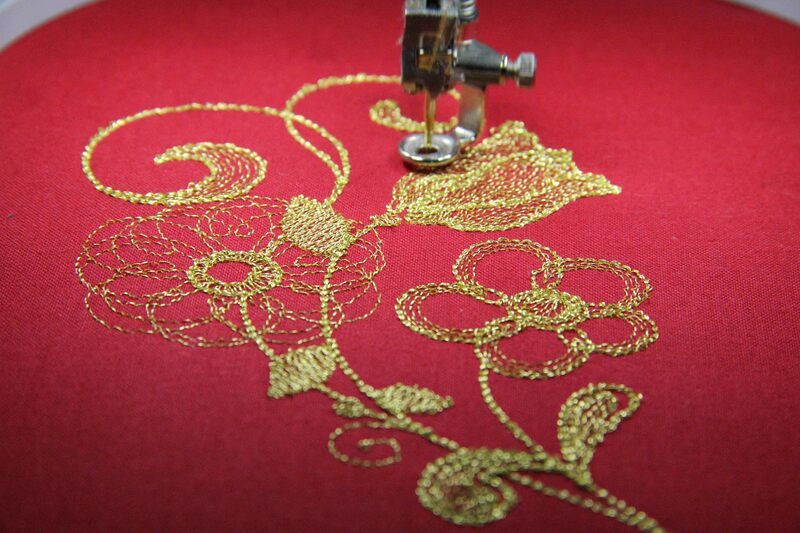 This entry was posted in embroidery, quilting, sewing and tagged machine embroidery, metallic thread by edges. Bookmark the permalink.